It is that time a year again! Though I don't know how much time I will have to watch Christmas movies/TV episodes.... what with me working retail and this being the busiest time of the year. Because of this I decided not to have any type of goal this year. This thread will just be a place to house all the Christmas reviews I do get to. There is some favorites that I watch every year that I hope I will get to this year... but with my working and most my collection in storage I can't guarantee anything this year. 14-year old Pete just had the worst Christmas ever. His busy parents forgot to buy his present, his talented brothers outshine him, the neighboring bullies target him for snowball practice, and his grandfather fights with his dad. Pete is relieved when the day ends. But when he wakes up on what he thinks is Dec. 26th, he finds out that it's Christmas all over again. Stuck repeating the day over and over, Pete panics at first, but slowly realizes that he can take advantage of this mysterious gift and enjoy the ultimate family Christmas. For some reason going into this one I really wasn't expecting too much. I guess because I never heard of it... and first time I ever notice it I find it in a discount pile... only $5 for the blu-ray/dvd combo pack. After watching it I find I enjoyed it. Definitely seen better but it is good enough that I can see myself watching it every year around this time. Every Christmas happily unmarried Brad and Kate escape divorced parents and exasperating relatives by getting on a plane. This year, the airport shuts down and the couple is forced to celebrate four family Christmases in one hectic, hilarious day. Can Brad and Kate's relationship survive Four Christmases? Before the movie I watched the trailer. And to be honest didn't know what to think... could have been good... could have been bad. So I went into it a little hesitant. While I found it to be entertaining... it was no more then an average film. 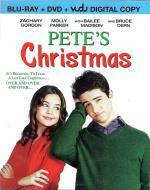 There is so many better Christmas films out there that I would recommend seeing before this one. While I feel Reese Witherspoon did a fine job... I didn't feel quite the same way with Vince Vaughn as his seemed overly stiff and forced. Even for the character that he was playing. I really did like the premise of the film... just that the outcome should have been better. The Christmas spirit isn't served up with more heartfelt warmth or observant hilarity than in this beloved adaptation of Jean Shepherd's holiday story. In 1940s Indiana, nine year old Ralphie (Peter Billingsly) dreams of his ideal Christmas gift: a genuine Red Ryder 200-shot Carbine Action Air Rifle. But when gruff dad (Darren McGavin) and doting mom (Melinda Dillon) regularly respond with "You'll shoot your eye out!" Ralphie mounts a full-scale, hint-dropping, Santa-begging campaign. He also endures a slew of calamities from snowsuit paralysis to the yellow-eyed Scotty Farkus affair to the dreaded tongue-on-a-frozen-flagpole gambit. We triple-dog-dare you to unwrap a more welcome Yuletide classic! This one is a fun movie... I definitely enjoyed it. The film has some decent laughs in it. OMG... that terrible gift from his aunt... the bunny pajamas... and the fact that his mother liked it so much was scary as well. I do think the story was over exaggerated... but I believe that was on purpose. After all it was supposed to be a guy telling the story about a childhood Christmas. This movie is a must see during the holidays. High holy days are here again, only a little higher and a lot less holy. After years of drifting apart, Harold and Kumar reunite when a prize Christmas tree accidentally goes up in smoke. Rather than come clean to his crazy in-laws, Harold opts to get dirty as he and Kumar embark on a dope holiday adventure to find the perfect replacement tree. On the way, the two find song, dance, and the true spirit of Christmas. And they just might meet a mythical figure back from the dead: the one, the only...Neil Patrick Harris. This is not normally my type of comedy... but I enjoyed it more then I thought I would. Some good comedy... some of the comedy I found to be a little over the top and tasteless. And I probably would have enjoyed this one a little more if I watched the first 2 movies beore this one. But over-all I would say worth the time put in to watch it. Superstar comedian and Golden Globe winner* Tim Allen shines bright in Disney's magical, larger-than-life hit comedy that People Magazine dubbed "the most playfully amusing, inventive cinematic...fable in several decades!" Each well-kept secret of the North Pole is revealed in Disney's hilarious and heartwarming tale that's "destined to become a holiday classic" (New York Post). Now you can unwrap all the magic of the holidays any day of the year! 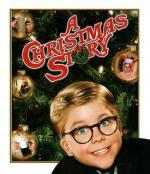 This is one of my favorite movies to watch to help me get into the Christmas Spirit. I have been a fan of Tim Allen ever since I first saw him in Home Improvement. I don't know what it really is about this movie other then it is just a fun holiday movie... but it is one I just can not miss each year. This is a pretty good sequel. I enjoyed it quite a bit. But this one was not as good as the first one. I think the only real problem I have with it is the whole Toy Santa storyline. That part just didn't feel right to me, personally. Other then that I enjoyed every minute of it... and watch it every year. I did like the whole must find a wife storyline though. Tim Allen is back in the big red suit for more adventures and laughs in Santa Clause 3: The Escape Clause – now merrier and brighter than ever on Blu-ray Disc®. As Christmas nears, Scott Calvin invites his in-laws (Ann-Margret, Alan Arkin) to join the festivities. 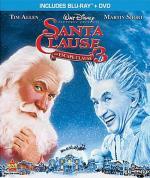 But the holidays take a chaotic turn when Scott discovers a way out of his "Santa Clause" and the mischievous Jack Frost (Martin Short) puts the big freeze on Christmas's big cheese! Now, unless Scott can get his job back in the St. Nick of time, it's going to be a very glacial "Frostmas" all around the world! Bundle up for fresh thrills as your favorite reluctant Santa Claus faces his most chilling challenge yet in the crystal clarity of high definition, while spectacular audio enhancement makes sleigh bells ring out like symphonies. I don't feel it quite held up to the first 2 parts... but I still enjoyed it a lot. While the storyline with Jack Frost left me a little cold (Sorry... couldn't help myself)... I thought Martin Short was a good choice for the role. I also liked the whole family reunion at the North Pole thing. 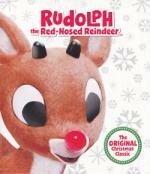 Rudolph visited the Island of Misfit Toys, and Santa asked Rudolph to guide his sleigh on Christmas Eve? Share the magic of this Original Christmas Classic told and sung by Burl Ives! This is a true Christmas Classic. One I have seen countles times every since I was a little kid and it aired on TV every year. I mean how can you not watch the likes of Rudolph this time of the year? The image and sound on this blu-ray is amazing... easily the best this one has ever looked and sound. I watched Elf: Buddy's Musical Christmas tonight. It is an animated version of the movie Elf. Jim Parsons does the voice of Buddy. It was cute. I have one of the Prep and Landing cartoons on now. You think Pete will try this...? I am lucky if I will be able to get to all my old favorites this year.... working in retail this time of year... when I am not working I am sleeping. They are really keeping me busy. Will be so glad when the holidays are over! Steve Guttenberg (Three Men and a Baby), Crystal Bernard (Wings), and Thomas Calabro (Melrose Place) star in a Christmas charmer about Santa's son and his search for a wife. Nick (Guttenberg) is due to replace his retiring father, and needs a Mrs. Claus, so Santa's advisor sends him down to Southern California. There he meets Beth Sawtelle (Bernard), a workaholic whose advertising job with Andrew West (Calabro) leaves precious little timefor her son, Jake (Dominic Scott Kay). Concealing his identity, Nick stars in a series of Christmas commercials for the agency as he tries to make sure Jake and Beth both believe in Santa Claus-no easy task in her case! This one I really enjoyed a lot. I enjoyed the storyline... I liked the cast. I basically found myself hooked from the very beginning of the movie. This one I can see myself watching every year at this time. This is a made for TV movie that originally aired on Lifetime. It is just a sweet and innocent holiday film. If you enjoy a good Christmas film this time of year I definitely recommend giving this one a chance. I don't think you will be sorry.